Also known as the V&A, the Victoria & Albert Museum was founded in 1852 as a museum of art and design. Today, it is the largest of its kind in the world, with a permanent collection of more than 4.5 million works of art from a period of more than two thousand years. It sits in the part of the Royal Borough of Kensington and Chelsea known as “Albertopolis”, so named after Prince Albert and his patronage of the arts and sciences. The area contains many buildings associated with Albert and his interests, also featuring the Royal College of Art, the Royal College of Music, the Royal Albert Hall, the Royal Geographical Society, and the Science Museum. Thus was the beginning of the Museum of Manufacturers, which opened in May 1852 in Marlborough House and later transferred to Somerset House in September of that year. The discussion began in 1854 of creating the building in which the V&A is now located, and the museum name was changed to the South Kensington Museum. The proceeds of the Great Exhibition were used to purchase the land on which the Albertopolis would be built, and Cole approached Albert about the possibility of a museum building in the southeast corner of the property. Prince Albert himself drew up the first concept for the temporary museum building, which was then developed into plans by architect Gottfried Semper. The “iron museum” was built by Charles Young and Company, with construction starting in 1856. The final building was 81 metres long and 9 metres high, with space for three two-storey galleries. The temporary structure was condemned as being ugly and looking like “a three-sided” boiler. It also had structural problems including a leaking roof, poor drainage, and extreme indoor temperatures. The South Kensington Museum opened in June 1857 and the Eastern Galleries were completed two years later in 1859 to house the collection of artwork. 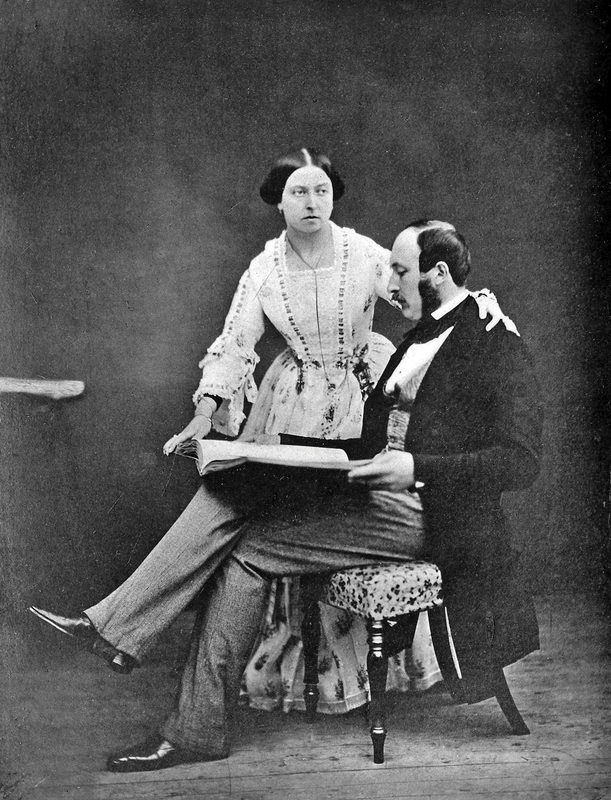 Unfortunately, Prince Albert did not get to enjoy the museum for too long and died in 1861 of typhoid. The iron building remained the home of the museum for 42 years, with additional wings constructed, until groundwork began on the current building. Designed by Aston Webb, construction began in May 1899 with the laying of the cornerstone by Queen Victoria in her last public appearance. It was at this time that the museum name also changed to the Victoria & Albert Museum. It finished 10 years later and the opening ceremony was conducted by Victoria’s son and heir, King Edward VII, on 26 June 1909. 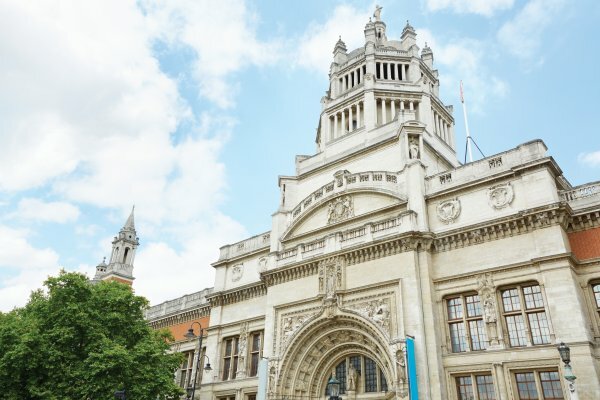 With the completion of the Science Museum in 1914, those objects and exhibits were removed from the V&A, which then became absolutely dedicated to art and design. Unfortunately, the V&A had become a building landlocked by its neighbours in the Albertopolis and often had to renovate from within to increase storage and gallery space. During WWII and the London Blitz, it became necessary to move the V&A’s collection to separate locations to protect it. These included a quarry in Wiltshire, Somerset House, and even the Aldwych Underground Station. Since that time, the V&A’s collection has grown by leaps and bounds, including international items and exhibits, but always putting its primary focus on art and design from Britain. The museum is open daily from 10:00 a.m. to 5:45 p.m. It is open later on Friday until 10:00 p.m. Admission is free but there is an additional charge for special exhibitions. The nearest Tube station is South Kensington. Thank you for this history of the V&A. My favorite cafeteria to eat in!